What do kiddie pools, salmon, and Mississippi Mud ice cream bars have in common? All were at the Forest Service headquarters in Sandy yesterday, along with 100+ people who demanded the Forest Service cancel the Jazz Timber Sale! News cameras captured the action at yesterday's rally while OPB’s Earth Fix ran the story on public radio throughout the Pacific NW this morning. If you missed the fun, be sure to check out our photos on Facebook or Flickr. The rally was a blast, but the issue is no joke. That is why yesterday, in addition to the rally, we appealed the U.S. District Court ruling to the Ninth Circuit Court of Appeals. And why we are now preparing an unprecedented summer of monitoring in the forest, kicking off with a campout May 30th. Stay tuned for details or contact michael@bark-out.org for details. PS – Bark is the only group challenging the timber Forest Service's "restoration thinning" rhetoric and bringing it to the mainstream. If this is important to you, please support us with a donation today. Bark Bites: New May events: Check 'em out! What would Measure 26-156 actually DO? This initiative would take the Bureau of Environmental Services and the Water Bureau from the City of Portland and place them under a new water board. The initiative has masqueraded as a populist campaign, yet in reality it is backed primarily by corporate interests who would like to eliminate key environmental programs that clean our air and water, protect our wildlife, and green our neighborhoods. In fact, these backers have previously gone so far as to sue the City of Portland to stop its core environmental programs. Supporters of the measure claim the initiative would lower water rates. On the contrary, it does nothing to lower rates but could actually raise them by adding a costly new layer of government, jeopardizing our AAA bond rating, eliminating oversight by the city auditor, and making it easier for industrial water users to shift their cost burden to Portland residents. Bark along, with a coalition of conservation, social justice, labor, and community groups OPPOSE this measure. View the full list here. 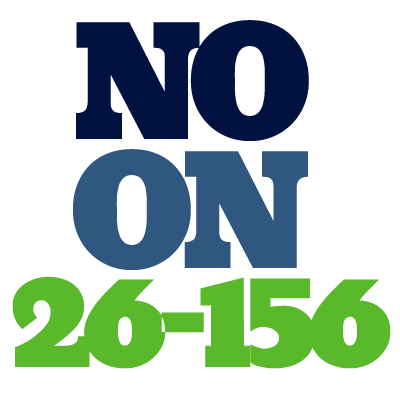 Please help us spread the word by telling your friends, family and neighbors: Vote NO on 26-156 Portland Water District Initiative! What better way to celebrate Mother’s day than on a family hike through the beautiful Salmon-Huckleberry wilderness! Our family-friendly May Bark-About will explore the “keyhole” of the Salmon-Huckleberry Wilderness, site of Mt. 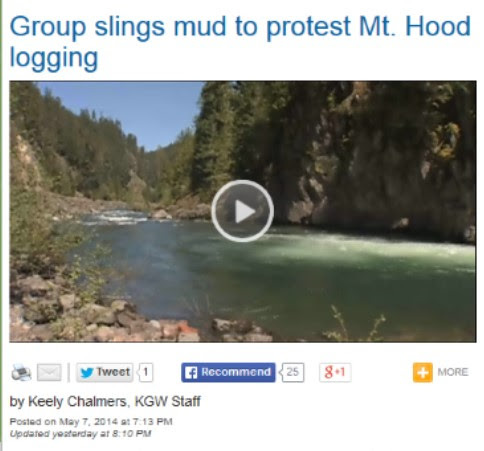 Hood’s most iconic road-to-trail conversion to date. Hike leaders Lola Goldberg, Audie Fuller, and Audie’s three-year-old daughter Caroline, will guide the way through the wilderness and an old-growth forest, describing how roads affect ecosystems and how we can fix this problem by removing them. As always, come prepared to hike off trail and bring lunch, water, sturdy boots and rain gear. To protect off-trail resources, we ask that you leave your dog at home. Click here for more information on this month's hike. Join local herbalist and botanist (and long time Barker) Gradey Proctor as we explore the terms and tools one needs to properly ID plants in Pacific Northwest forests, just in time for summer wildflower season! Have you visited Bark’s resource library? Gradey is generously offering his expertize as a fundraiser to help us grow our in-house resource library, that volunteers can use to monitor what’s happening in Mt. Hood National Forest and other Northwest ecosystems. RSVP to reserve your spot as space is limited. More info here. Location: Bark office, 205 SE Grand Ave, Suite 207. We’ve been busy lately, planning rallies, events, and putting boots on the ground in the Jazz Timber Sale. This work is made possible by volunteers. Want to learn more about our work and join the fun? This orientation is a good introduction to Bark’s work and the ways volunteers can contribute.